“its rejection to the latest decision of the Government of the United States of America to renew its unilateral sanctions against the Government of the Bolivarian Republic of Venezuela”. A March 3 executive order signed by President Obama renewed sanctions against Venezuela, referring to the South American state as “a national emergency with respect to the unusual and extraordinary threat to the national security and foreign policy of the United States posed by the situation in Venezuela”. 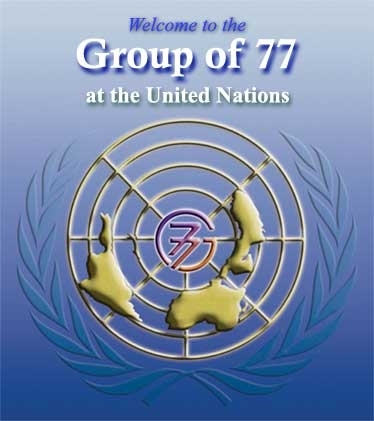 The G-77 is the largest intergovernmental organization of developing countries in the United Nations, which “provides the means for the countries of the South to articulate and promote their collective economic interests and enhance their joint negotiating capacity on all major international economic issues within the United Nations system, and promote South-South cooperation for development,” according to their website. The statement goes on to say that the “G-77 and China underlines the positive contribution of Venezuela to the strengthening of South-South cooperation, solidarity and friendship among all peoples and nations, with a view to promoting peace and development”, conveying solidarity.